This unique tie is a standard aluminum form flat tie on one end and a ½”coil rod adapter on the other end. Now you can connect your aluminum forms to industry-standard ½” coil rod to deal with difficult forming situations, such as one sided forming or field-adjustable length ties. 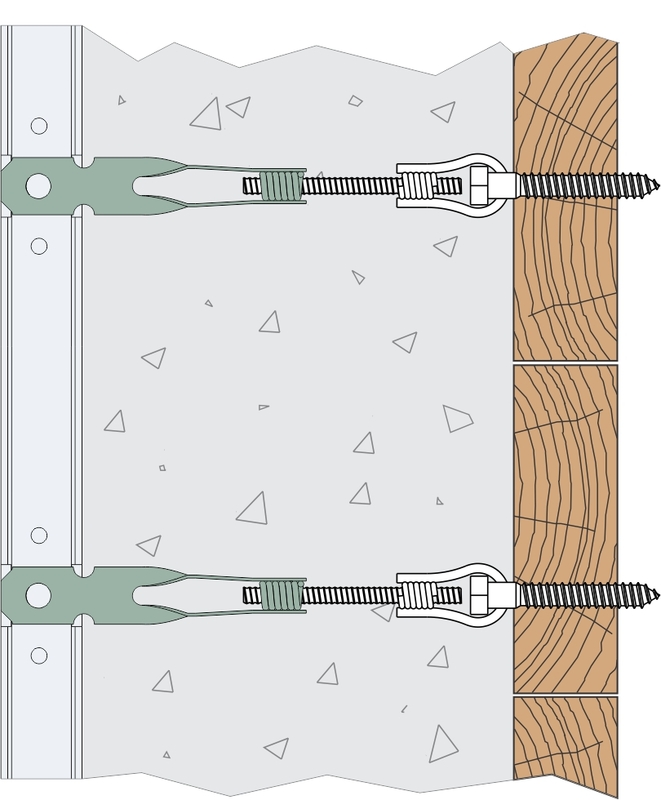 Aluma-Coil™ Ties provide a simple and low-cost solution for securing formwork to existing structures for one-sided forming. They can eliminate additional hardware and labor over other methods. Steel Dog® Aluma-Coil™ Ties and Rebar Hooks provide a fast and low-cost way to use Stay-Form® stay-in-place expanded metal mesh to form blind side walls (where clearances on one side are too tight to allow for removal of reusable forms). 1/2" Coil rod on one side, Aluminum flat tie on the other. Ideal for all thicknesses 6" and up. 1/2" Coil rod on one side, Aluminum flat tie on the other. Ideal for thin walls 4"-6". Only allows for minimal adjustment.